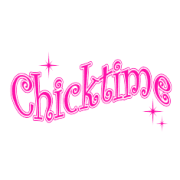 Chicktime Dayton needs you! Whether you want to share your passion and lead a workshop with the women and children or just show up and volunteer! Think about what you love to do... and then let us help you turn it into a program to serve the kids. We need cooks, gardeners, crafters, mechanics, sports enthusiasts, bankers, or whatever it is that YOU love to do! !